Martisor une très Belle fête Roumaine symbolisant le Début de Printemps ! C’est quoi le Martz isor ? Une très belle tradition est associée au doux nom de mărţişor qui est le symbole du printemps. Qu’est-ce que le “mărţişor” ? Le “mărţişor” (diminutif de “martie – mars”) est offert à l’aube du 1er Mars et on le porte attaché à la poitrine tout le long du mois de mars, après quoi il est suspendu à un arbre fleuri, dans l’espoir que toute l’année serait fleurie. Le mărţişor est une fine ganse formée de deux fils tressés, l’un blanc et l’autre rouge, auxquels on peut attacher une petite figurine en bois ou en métal (un coeur, une lettre, une fleur, un fer à cheval ou un trèfle à quatre feuilles) qui joue le rôle de porte-bonheur. Filles et garçons, femmes et hommes peuvent offrir des “mărţişor” à leurs amis, leurs amours, leurs familles. La seule contrainte traditionnelle étant de mêler deux brins de couleurs rouge et blanche, on n’hésite pas à confectionner les “mărţişor” personnellement. Quant aux marchands, qui sont souvent aussi les créateurs, rivalisent d’ingéniosité dans le confectionnement des “mărţişor”. Le rouge et le blanc mêlés représentent les deux saisons qui se mélangent encore. Le rouge c’est l’hiver (peut-être parce qu’on y fait rougeoyer l’âtre) et le blanc, le printemps qui s’annonce avec la pousse du perce neige, fleur symbolisant le retour de la nature à la vie. 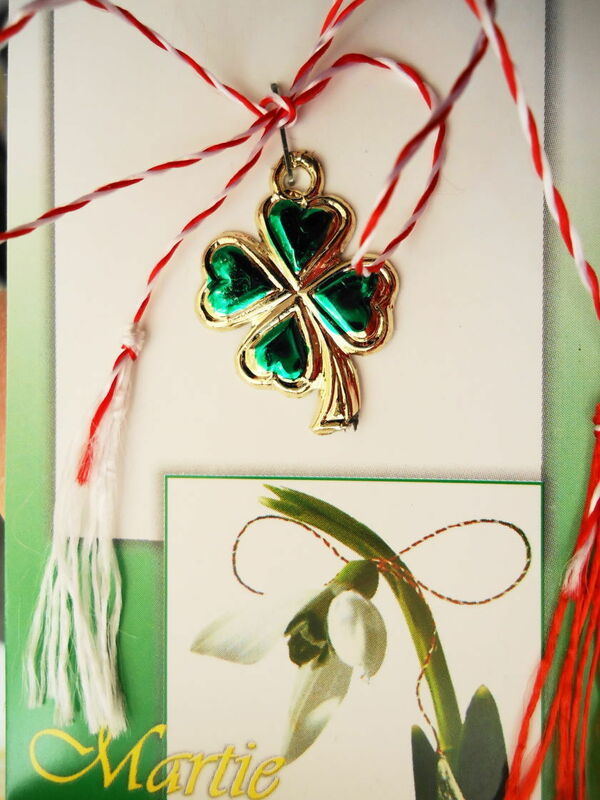 Martisor .. An Old Romanian Tradition ! À Talisman , Symbolizing the Start of Spring , bringing Happine ss , Love and Health to All Wearing on 1 Of March !! Mărțișor (Romanian pronunciation: [mərtsiʃor]) is an old Romanian celebration at the beginning of spring, on March the 1st, which according to old calendar was also considered as the beginning of the new year. Symbolically, it is correlated to women and to fertility as a means of life and continuity. The tradition is authentic in Romania, Moldova, and all territories inhabited byRomanians and Aromanians. Alike though not identical customs can be found in Bulgaria (seeMartenitsa), while similar ones exist in Albania,Greece [not in citation given] and Italy. The name Mărțișor is the diminutive of marț, the old folk name for March (Martie, in modern Romanian), and thus literally means “little March”. It is also the folk name for this month. 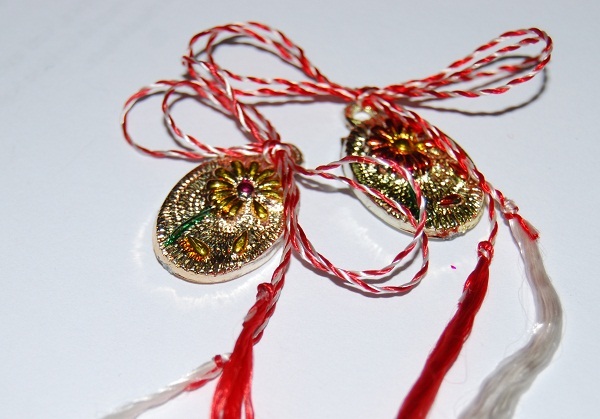 Mărțișor, marț and mărțiguș are all names for the red and white string from which a small decoration is tied, and which is offered by people on the 1st day of March. The string can also be black and white, or blue and white) Giving this talisman to people is an old custom, and it is believed that the one who wears the red and white string will be strong and healthy for the year to come. It is also a symbol of the coming spring. Usually, both women and men wear it pinned to their clothes, close to the heart, until the last day of March, when they tie it to the branches of a fruit-tree. In some regions, a gold or silver coin hangs on the string, which is worn around the neck. After wearing it for a certain period of time, they buy red wine and sweet cheese with the coin, according to a belief that their faces would remain beautiful and white as cheese, and rubicund as the red wine, for the entire year. In modern times, and especially in urban areas, the Mărțișor lost most of its talisman properties and became more of a symbol of friendship or love, appreciation and respect. The black threads were replaced with red, but the delicate wool ropes are still a ‘cottage industry’ among people in the countryside, who comb out the wool, dye the floss, and twist it into thousands of tassels. In some areas the amulets are still made with black and white ropes, for warding off evil. My Feedback To a Post Materialist Blogger !!! So Happy to Discover People Concerned about Humanity Destiny !!! So Happy to read from people with à High Consciousness about Real Values !!! As I see it lots of People inclines to ” Think ” more then by what it is “See ” it and getting In a Higher Scale of Consciousness are the ones also coming from a Rich in Values Background !!! our Society work a lot against all this Called ” Old Values ” and tending to erase all about as being insignifiants for New Generations !!! In this term we all know that Traditions , Real Culture , Literature , Believes , Art , Philosophy , etc are less and less part of Children School education ! All what it is related to Soul and Consciousness are looking even Ridicoulous for Some and not so many taking the time and having interest to ” THINK ” outside the Box !!! Once you start to be AWARE and Pay Attention to people reactions and people behavior , we are becoming very Dissapointed !! As a Holistic Therapist I am CONSTANTELLY Working in this direction !!! Very Hard in North America to Rise the Consciousness of People more then Materialistic Side and over all what can be see it in a Constant Media Advertising !!! It is a lot to say about and fr me coming from Europe , I have more and more hard Time to deal with Ignorance , Selfisness , No Interest in Nothing else than primary necessity , Money Possesion Values , No Passions and not even a desire or curiosity to learn more !!! Peole pretending No time for Reading !! I have a Group and Professional Pages in FB !!! The Group it is Living with Passion & Awareness , being my orientation and having he Purpose of Teaching and Sharing all about Real Values , outside of Materialistic Concernings !!! OMG , very Hard to get a Comment or to really see it interest !!!! I still do my Mission and continue my Purpose but sometimes it is Hard to Talk alone !!!!! Thank You For Visiting my Blog and Very Happy to see people with Same Concernings and Having at Heart Humanity Destiny !!!! 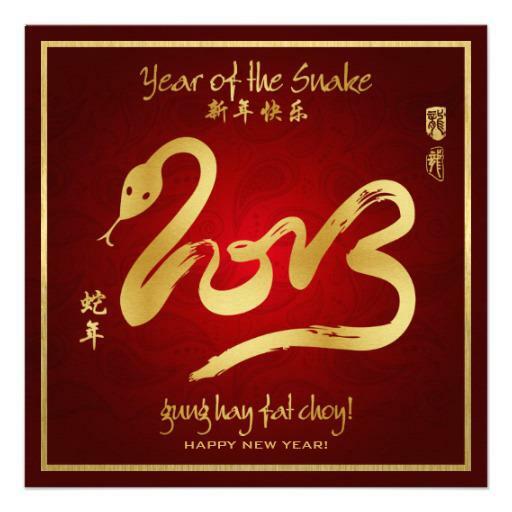 The Year of Snake !!! Happy Chinese Year to All Friends around the World !!! Cadeau Précieux de la Nature !! Le Rhassoul !! La ” Terre qui Lave ” ..La ” Terre qui Nourrit et Guérit ” Naturellement Votre !! L” Unique Rhassoul à Base des Ingrédients 100 % Naturels issues d” qu’en Agriculture Biologique !!! 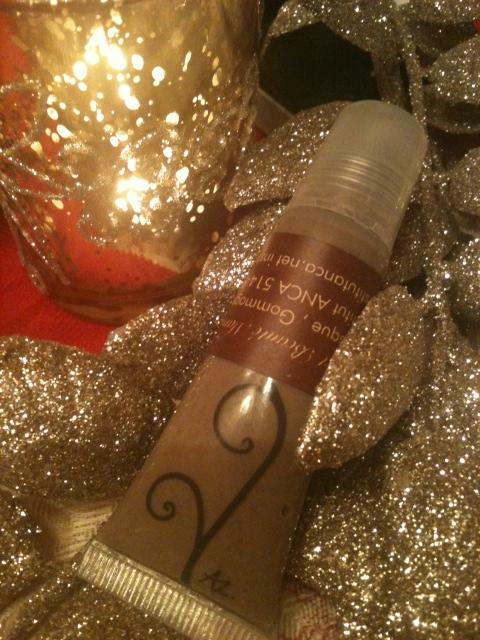 Un Produit Unique et Multi Fonctions : Masque, Gommage , Cheveux comme Shampoing , Masque et Gommage Corps !!! Retrouver une Peau Douce , En Santé avec le Rhassoul à Base de l’Huile d’Argan Pure , Non torréfié et de l’Eau de Rose de Damas !!! 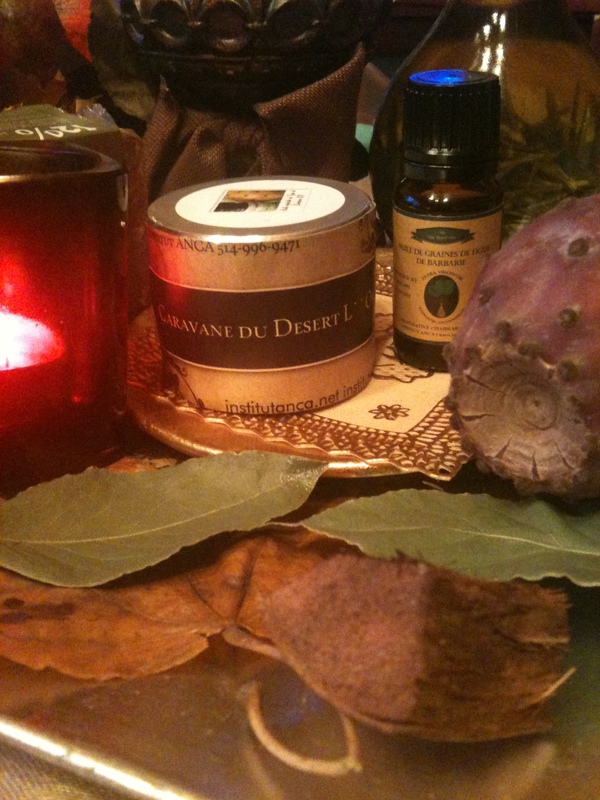 Posted by institutanca on December 22, 2012 in Bio Org Natural Cosmetics " Provence & Maroc "